Human mind remains the best analytical tool. The big idea behind our efforts is to equip human operators with an intuitive collaboration mechanism with an AI system. An average organization makes decisions based on only 12% of its available data because it’s “too messy” to deal with. Experts predict that the amount of data will increase by 800% in the next five years, and most of it will be multi-structured. The enormous amounts of data generated by smart devices, operational machinery, equipment and sensors, etc. (aka “dark” data) vastly exceed the current capabilities to process this data. For example, a single turbine compressor blade can generate 500GB per day, while a wind farm may generate 150,000 data points per second. Today, the majority of this data is poorly analyzed or not collected at all. The ability to analyze, synthesize and draw conclusions from the massive amounts of “dark” data enables new levels of operational effectiveness, situational awareness, and ultimately intelligent decision making. Cybersecurity Analytics: applying AI analytical techniques to cyber threat intelligence. 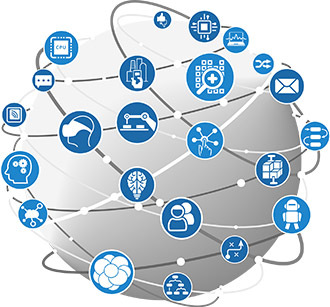 Industrial IoT: condition-based maintenance and preventive analytics; IoT/sensor-based solutions; telemetry data; etc. Computer Vision: object recognition within images/video; anomaly detection & change classification; deep learning of image content. AI and human interaction to detect, investigate, and remediate complex cyber adversarial behaviors. Cost savings and operational availability of equipment and machinery through condition-based preventive maintenance. Business intelligence through analysis of images, videos, and unstructured geospatial data. Effective Data Analytics is about pursuing business answers through targeted data insights. 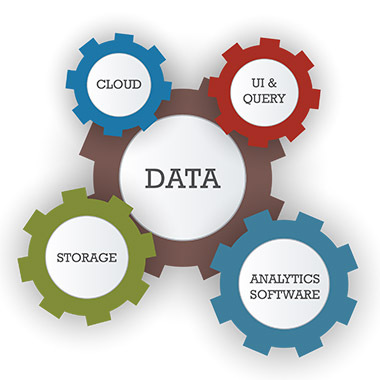 Our team uses lean and agile development approach to tackling many challenging Big Data use cases. When implemented well, the core business gains a competitive advantage with an ability to deliver fast and relevant capabilities to the market. We evaluate team resources, business processes, and technology components to facilitate a phased approach to Big Data initiatives. We start with a minimally viable product ("MVP") and construct a long-term roadmap for subsequent product iterations. We prioritize and refine product features based on the customer feedback to maximize value of our deliverables. We view ongoing managed services as critical components of our delivery to ensure that our solution performs at optimal levels. We pursue emerging technologies that are rapidly changing the enterprise landscape through Big Data insights, software automation, and ubiquitous connectivity. We strive to be the partner of choice for the government and commercial enterprise by helping them build innovative, reliable and cost-effective technological solutions. Our company culture is centered around serving our customers’ needs, doing excellent work, and always delivering VALUE. We share the load – if our customers don’t succeed, we don’t succeed either. We take pride in our professionalism, integrity, and work ethics. Quality of people is the greatest contributor to success of any business. That is why we always go to top talent for our projects no matter where they are. Over the years we have created a very effective distributed execution model based on the daily scrum, efficient telecommunication, and consistent accountability. Vlabs was founded by Oleg Sinitsin with the main goal to guide businesses to faster and better Big Data product delivery. Prior to Vlabs, Oleg had spent 6 years running his professional practice focused on agile product development. 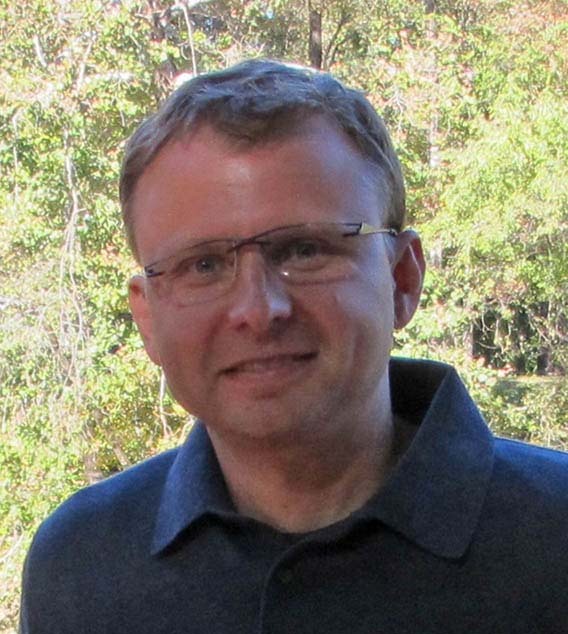 During the first half of his career, Oleg worked for Equifax, KPMG, and Novell. He holds a Master’s degree in Computer Science from Auburn University and a BBA degree from Bryan College. We are a distributed team headquartered in Atlanta, GA. To get in touch with us, please fill out the Contact Form. Someone on our team will respond to you shortly.